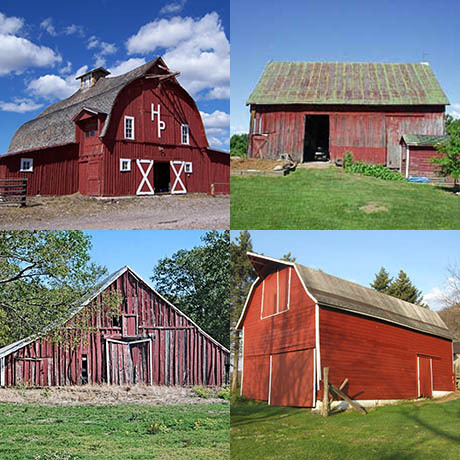 “Why are barns red?” is, apparently, the all-time most popular FAQ at The Barn Journal (sadly, no word on what the second most popular might be). Their answers are interesting, and different. The right wood in the right place, it was discovered, needed no paint. 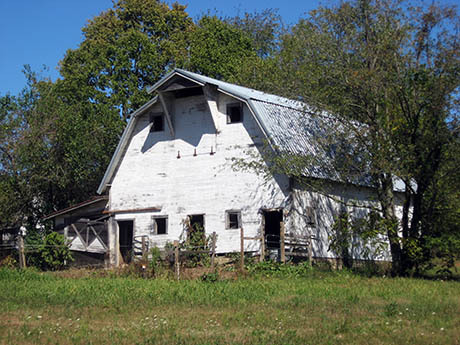 By the end of the 1700s, however, farmers began to paint their barns, as “the art of wood seasoning gave way to the art of artificial preservation.” Virginia farmers were, apparently, “the first to become paint-conscious,” although no explanation is given for this shift. Heller does, however, attribute the rise of red, specifically, to both function and fashion. The red colour came from the addition of iron oxide, which is abundant in the soils of the eastern United States, and is equipped with anti-fungal properties (dissolved rust is still used as a DIY anti-moss treatment today). This new-and-improved red barn gradually superseded its unpainted wooden predecessor, becoming the norm. However, red was the cheapest paint, once. 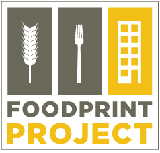 According to an article by preservationist Robert Foley (PDF), red was the ubiquitous colour of eighteenth century England and colonial America, produced by mixing iron-oxide rich milled earth with linseed oil and turpentine. The result was called “Spanish Brown,” and, because the precise mineral content of the soil determined the final colour, it could range “from burnt orange through reds and into browns” — “the exact shade didn’t seem to matter, cost did.” Other pigments, such as white lead or verdigris green, required an extensive manufacturing process before they could be mixed with linseed oil and used; dirt could just be dug up and ground. Zunger is not content to leave matters there, however. Instead, he dives deep into the physics of exploding stars to explain precisely why iron is so abundant in the Earth’s crust, and why ferrous oxide reflects a wavelength of light that is visible to human eyes. Furthermore, in a detail that Zunger actually doesn’t mention, about 2.45 billion years years ago, for reasons scientists don’t fully understand but that seem to be tied to the evolution of photosynthetic cyanobacteria, the Earth experienced something called the “Great Oxidation Event.” Prior to that, oxygen was nearly absent in the atmosphere of early Earth; after that, the iron in ancient soils turned into rust. So, to sum up: many barns are painted red because paint protects the wood against weathering; because the pigment that went into red (or, more accurately, “Spanish Brown”) paint was the cheapest available two centuries ago, due to the abundance of iron oxide in the soil (due to nuclear physics and blue-green algae) and its ease of preparation for use; and because, despite the fact that green is as cheap as red today, humans tend to display a preference for the familiar. IMAGE: A white barn photographed by Nyttend, via Wikipedia. 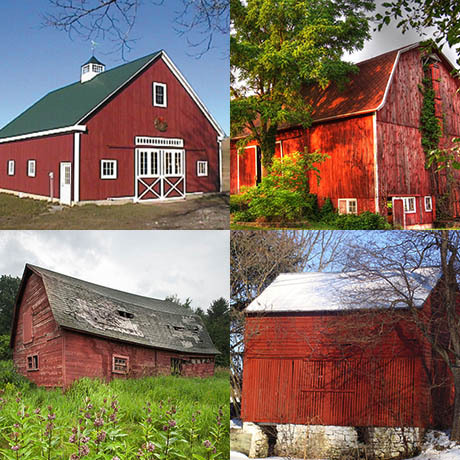 Of course, some barns are white. 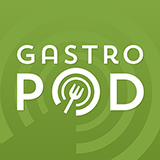 Whitewash, a mixture of chalk, lime, and water, was also cheap — even cheaper than Spanish Brown in areas with iron-poor soils but readily available limestone deposits left by ancient marine life — and possessed of both antimicrobial properties and sanitary connotations. 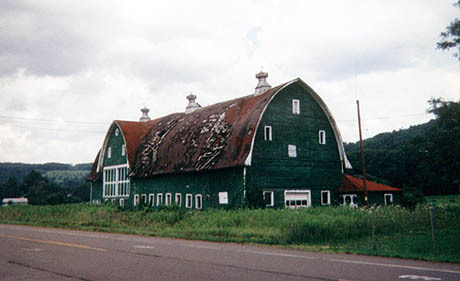 IMAGE: The green Sears barn in Newark Valley, NY, via The Barn Journal. It was originally painted yellow. And some barns are green, but there is no accounting for taste. 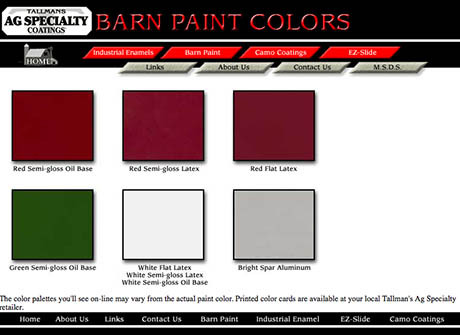 Compare the 55 gallon drums of paint at farmpaint.com to get a good idea what the pigments cost – $415 for red, $695 for white. Cost still adds up at scale. I take issue with the comment that automotive coatings in red last much longer as I certainly have never noticed such a thing. I am a 35-year pro auto painter and it is my experience that reds tend to have pigment failures including fading, dulling, chalking considerably earlier than most other solid colors. In particular, reds are prone to fading into a particularly lousy looking pinkish color when not garaged. Most are done within 5 to 7 years. Also, automobile and truck owners can tell you red paint lasts MUCH longer than other colors. what is a fun post! 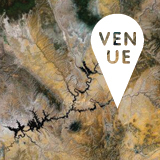 I recently met Christoph Engemann of Barnology, who linked to your post. 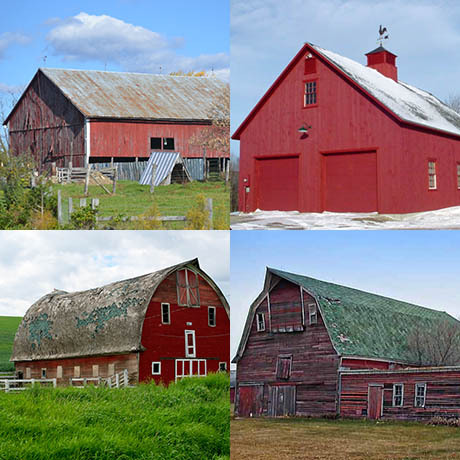 Painting the barns red could also have been a fashion and practice imported to America by Swedes, who since the 16th century has painted barns and cottages red with a color called “Falu red”.